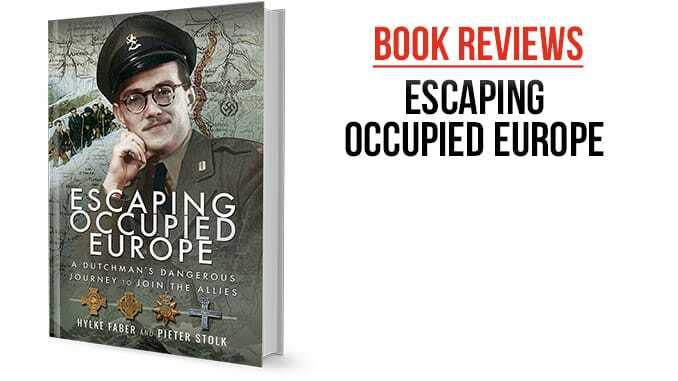 ‘’Escaping Occupied Europe’’ is the fascinating, often humorous (and very candid) tale of one Dutch student’s odyssey across a Europe under nazi-occupation as he, like many of his fellow resistance members escaped certain death to travel to England and continue their fight. Inside you will find this book presents both a fascinating glimpse of student life in the Netherlands during the occupation as well as a travelogue spanning several months as the author and companions make their way through wartime Europe, travelling through Belgium, France, Spain and Portugal before finally reaching England. Unlike most war stories featuring resistance fighters, this story is by the ‘co-authors’ own admission a story devoid of the usual action-packed fighting, heroics and acts of desperate derring-do that exemplify the stereotypical partisan. The book itself is softback, good quality paper, easy to read print with a map and photographs throughout, most usefully the second appendix is an index of names of people and organisations encountered by the author, each accompanied by a brief description. In wargaming terms, there is commensurately less to offer than the previously mentioned ‘typical’ war stories featuring resistance members. Be that as it may the book is a useful resource for those looking to get a more general feel for the period. While the contents may lend themselves less well to the ww2 wargamer interested in pitched battles and large conflicts, with a little effort the wargamer with imagination could well find this book useful inspiration for small scale resistance involved scenarios. Using a small-scale rule sets such as ‘Five Men in Normandy’ a wargamer could wargame a more action-orientated linked series of games as a band of resistance members tries to slip through occupied territory in various European locales as they attempt to reach England. While overall offering more to the history buff in search of something different, this book would make a fine addition to any wargamers library.